Tom is an NRA Training Counselor, is a NRA certified Pistol, Rifle, and Shotgun Instructor, NRA Chief Range Safety Officer, and Texas License to Carry Instructor. 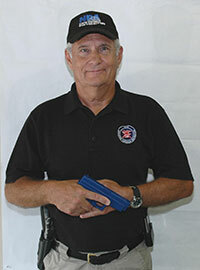 Tom trains and certifies instructor candidates as NRA Instructors, Range Safety Officers, and prepares Standard Operating Procedures Manuals for gun range owners. Tom has a long history in firearms, including serving in Vietnam in the US Army, and growing up on a large ranch where carrying a gun was an everyday occurrence to protect livestock. Tom has been training firearms students for the past seven years and is one of the top two or three NRA trainers in the Houston metro area. Military training on several weapons systems. As an independent instructor for Thunder Gun Range Tom teaches pistol, rifle and shotgun students from beginners to advanced shooters. Through his independent company, Handgun Skills, LLC, teaching at Thunder Gun Range he offers twenty three different training classes and has a team of five highly trained and capable instructors on his team teaching various classes, including clay shooting taught by a Level III clays instructor. Tom also trains and coaches students in preparing them for 3 Gun competitions. He is also the Match Director for the monthly 3 Gun Match at Thunder Gun Range.